I stumbled across this EAGLE apology/ clarification* (from the issue cover-dated 30 June 1984) whilst pulling together the cover scans that I'm running at the moment. 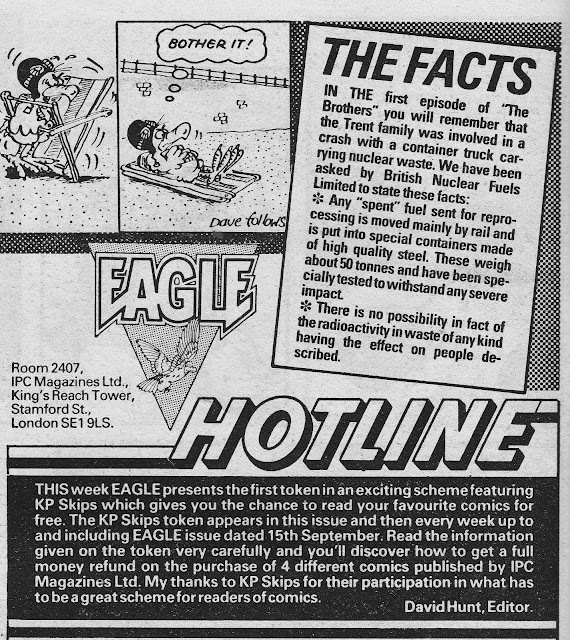 I must have completely missed it the first time 'round and I imagine everyone else did too as I've never seen it mentioned elsewhere online or even in the excellent (and now - sadly - defunct) New Eagle fanzine THE EAGLE FLIES AGAIN. 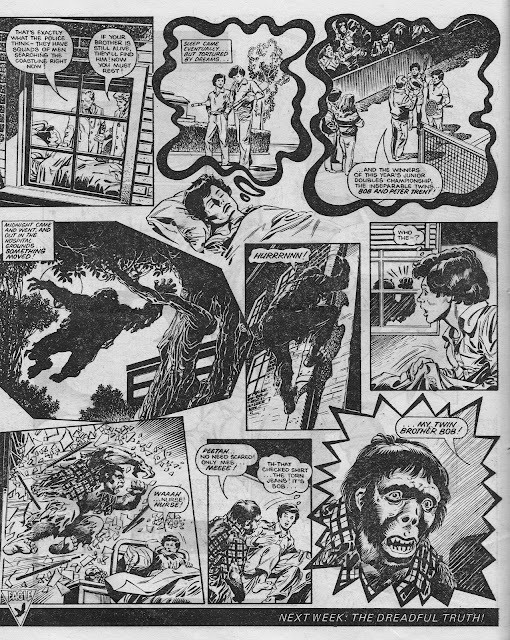 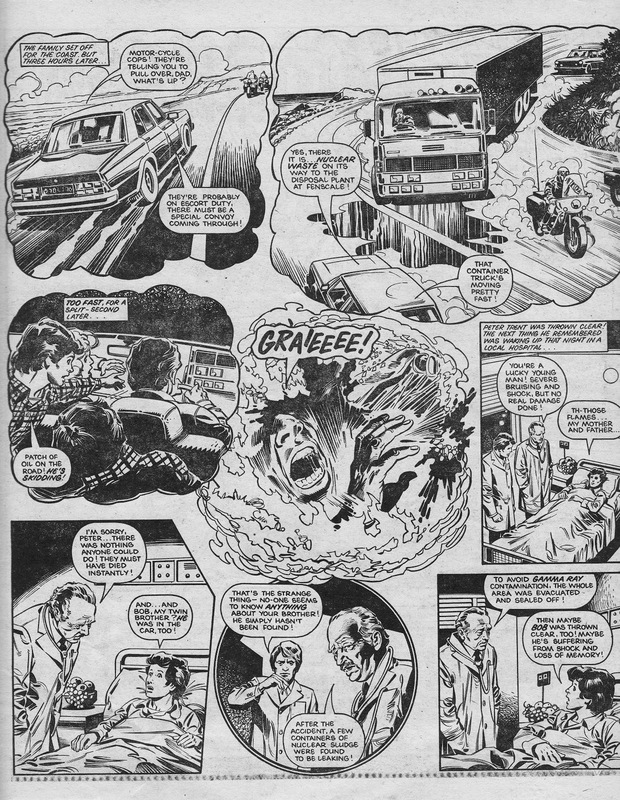 I doubt many of the Eagle's readers were unduly concerned about the events in the first instalment of The Brothers (radiation leak turns teen into mutated monkey boy), published in the issue cover-dated 18 February 1984, but someone at British Nuclear Fuels Ltd. (BNFL) obviously insisted on setting the record straight. 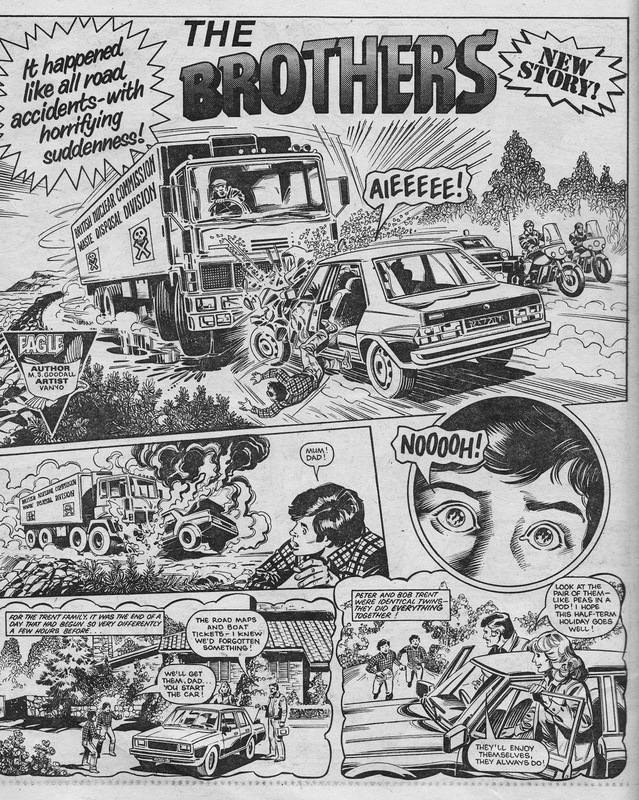 What I really love about this is that BNFL even noticed. Did they have lawyers scouring every publication (including comics) for any misrepresentation of the entirely safe (ahem) nuclear power industry? Or did someone in the office just happen to read their kid's copy? I've posted the apology/ clarification and the original strip.